Few things warm our hearts more than meeting young leaders who serve other children in their communities by raising awareness and funds for IFF. Students – whether you collect pledges for their next golf tournament, host a lemonade stand, sell bracelets, rock in the IFF Band, or plan a give-back night or create your own project – IFF greatly appreciates your creativity in supporting our mission. If you are interested in hosting a youth project, get started today on the Giving Point website or contact us directly to discuss your plans: 404-966-0752 or youthprojects@iansfriendsfoundation.com. 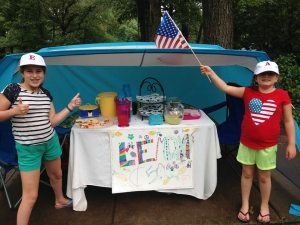 Two of IFF’s little friends decided to give all their lemonade stand proceeds to IFF in support of pediatric brain tumor research. These amazing youngsters raise awareness for IFF by practicing and performing as the “IFF Band” and debuted their charitable tunes at our 2014 “Evening of Inspiration” gala. This group of passionate, dedicated kids has put in many hours to help raise awareness and money for IFF in their spare time. See their performance from the 2014 Evening of Inspiration here. 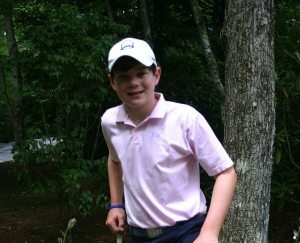 This amazing IFF supporter collects pledges from friends and family for every par or better he shoots in golf tournaments.